Dr. Minesh shah, Managing Director, Effission Software Pvt Ltd. received his M.S. and Ph.D. in Electrical Engineering from Arizona State University, USA. He has received executive management from Wharton. He has worked in the technology field in Silicon Valley. His last start-up software company was in mobile computing in San Francisco and customer included Boeing, Cisco, France Telecom amongst other high profile names. He has published extensively in peer reviewed journals worldwide. 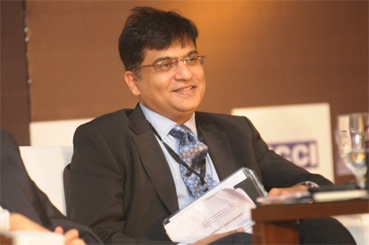 He is involved in diamond and jewellery manufacturer in the industry for a last decade. He understands Gems & Jewellery industry’s need and that reflects in Effission’s solutions. He believes in greater customer satisfaction by providing the best software solution to his customer. 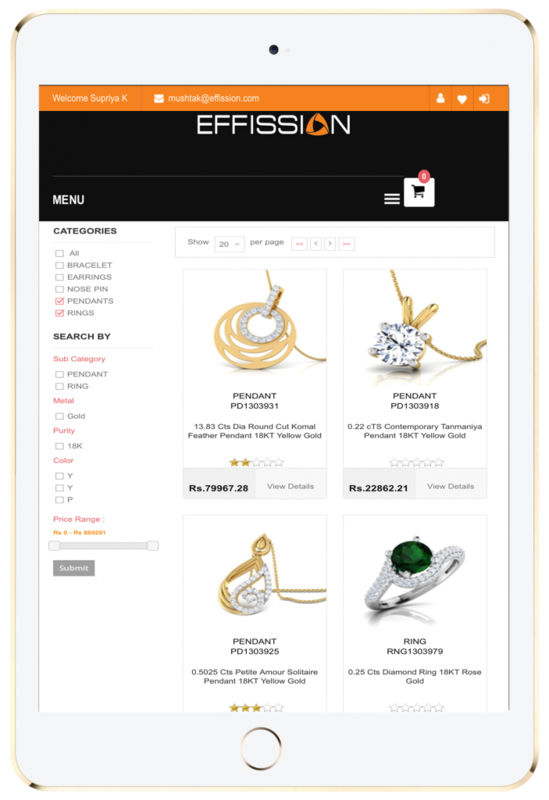 Effission Software is a solution provider to the jewellery industry. Our proven solution is future ready. 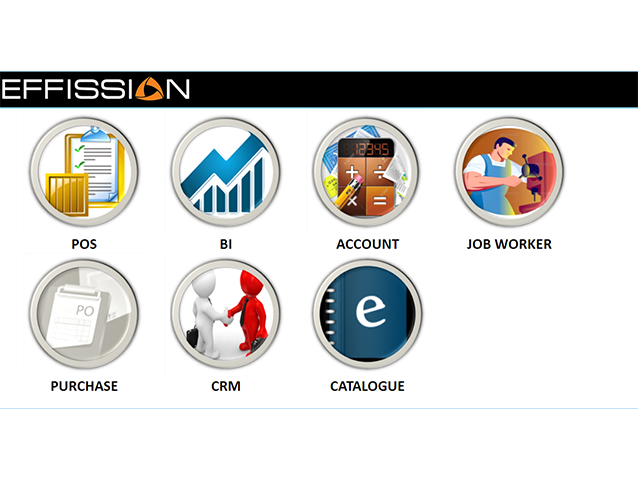 Which, includes Effission E-commerce Platform, Mobile Applications, Effission Online, Multi Location, CRM, Business Intelligence and ERP along with Tally Integration. We are very innovative and cutting edge solution provider. In a fast moving time, we are bound to keep futuristic approach to serve your customer in the best manner at the same time we are very efficient. With the solution our customer can go to e-commerce/ online business in few minutes. You can do online as well as offline transactions. Web-based software are accessible 24 X 7 from anywhere just by using a computer, mobile phone, iPad with internet connectivity. Web-based software does not require installation of any software. The experience is similar as if accessing any website on the internet. Traditional software (client-server and on-premise software) requires procuring new hardware and software, having a dedicate personnel/team for IT support and undergoing costly upgrade options. 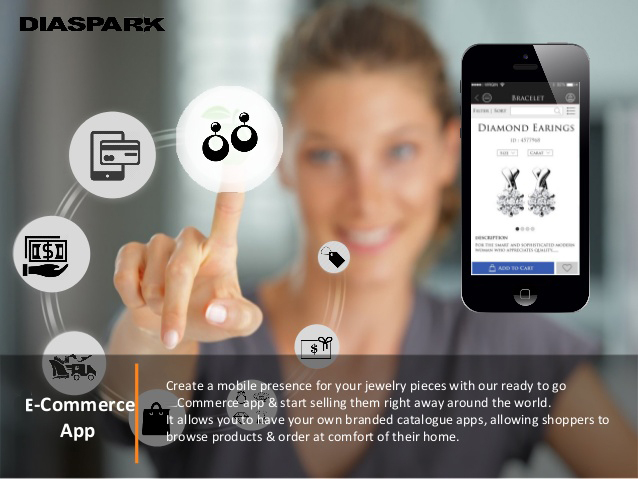 E-commerce module can keep your store opens 24 X 7 to the world. Along with, retailing you can serve the whole world with E-tailing and increase your sales. Our platform can make you live in a day’s time. Smart phones penetration and Tablets (iPad) have changed our world the way we are getting the information. We have solution to cater to your customers lifestyle. Effission’s online jewelry software products are web-based applications hosted on cloud. So, no new hardware to be purchased and very simple to use. Effission ERP/CRM jewelry software products are comprehensive and offer end-to-end functionality for managing your jewelry retail and wholesale operations. This software portfolio helps you to concentrate on your core business and we can manage the productive and efficiency aspects of your business. RJIF event brings together over 200 retail jewellers and other stake holders from across the nation to gain from the collective expertise and experience of speakers and panelists who bring in new insights and ideas from not only the jewellery industry but related industries.